Betty is a 27 year old single mother of a precious baby girl and has worked at Neema for 5 years as one of our nannies. 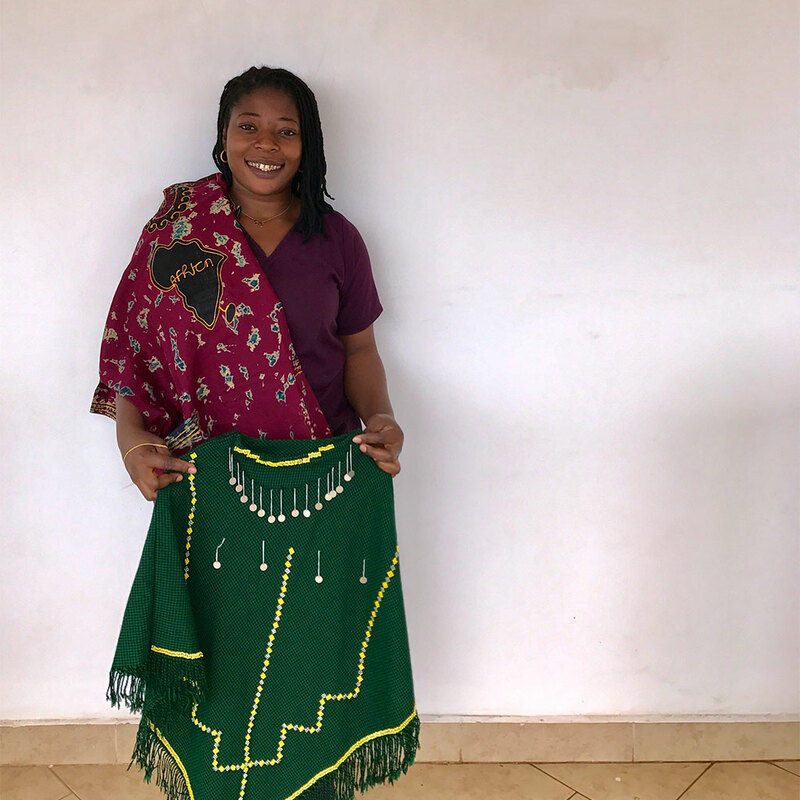 Alongside being a nanny for Neema, Betty has also been learning to make handmade decorative Maasai coats, computer bags, and traditional African shirts. Betty is interested in expanding her sewing business further and would like to be able to take classes so she can learn more. Expanding her business would help her have an extra source of income to put towards building a house so that her family can have a better standard of living, no longer having to pay the high cost of rent in Tanzania, which would also help send her daughter to school. I hate poverty and I do as much as I can to keep my family out of it. To help Betty, please visit our “How to Help” page where you can donate towards the MAP program. For tax deduction purposes, please indicate that it is going specifically towards the MAP program. Do not specify individual names or businesses.